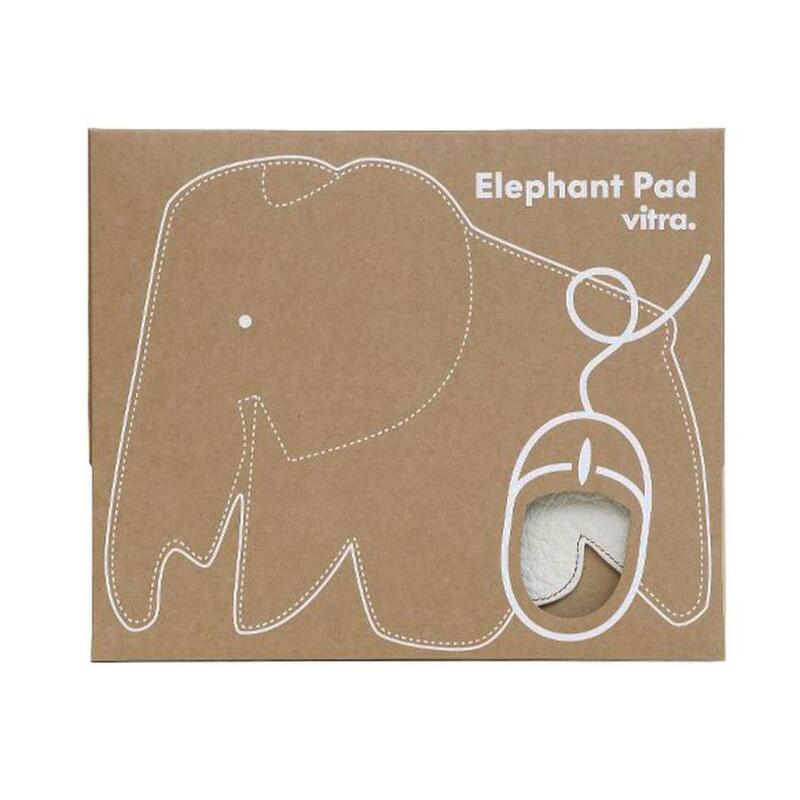 Inspired by the popular Eames Elephant in 2010 Hella Jongerius designed the Elephant Pad for the manufacturer Vitra. 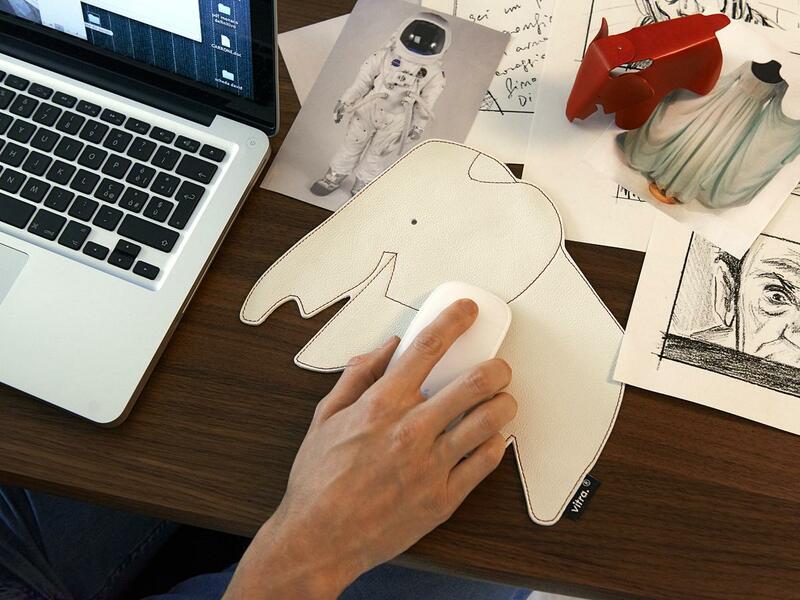 Available in three colours, the high quality mousepad is a wonderfully playful alternative to the normal office accessory. Care Leather should never be exposed to direct sunlight or extreme heat. For regular cleaning a damp cloth is recommended. In addition irregular cleaning with a specialised leather cleaner is advisable. Datasheet Click form more information (ca. 0,1 MB). 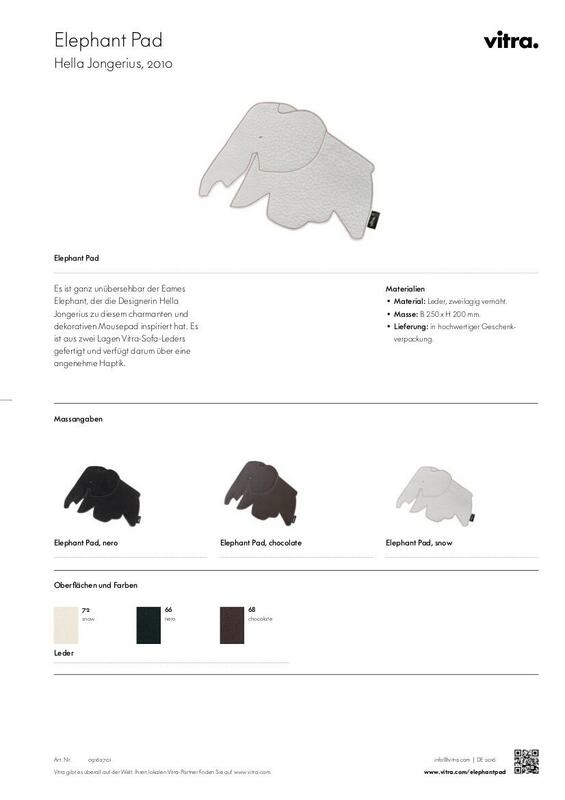 The enormously popular figure of the famous Eames Elephant is easily recognisable in Hella Jongerius's Elephant Pad. Despite its apparent childishness, the Vitra mouse pad is an especially beautiful and luxurious accessory for adults. 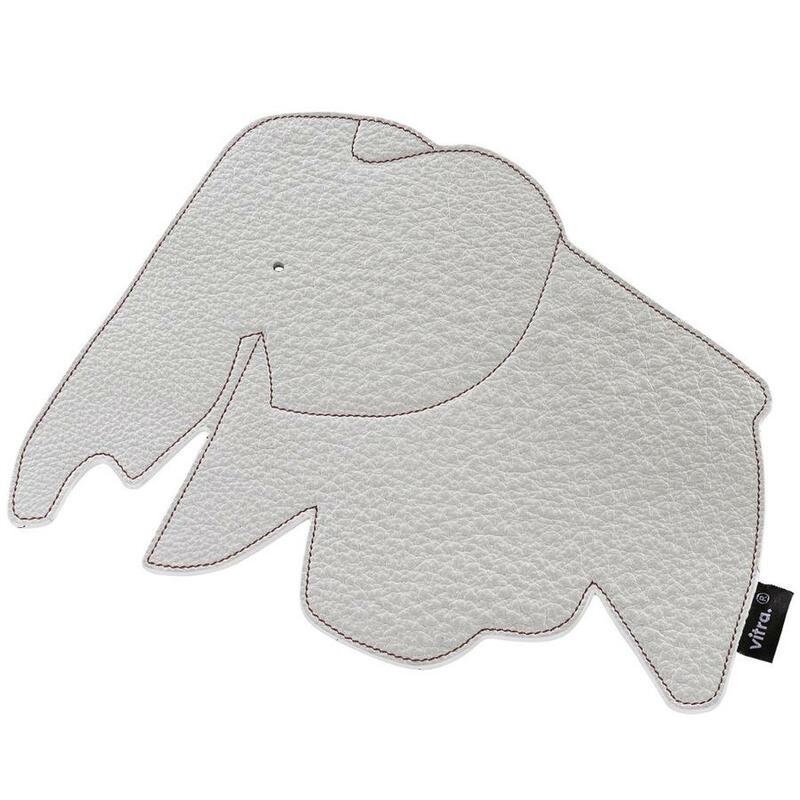 Available in three different colour options, the Elephant Pad is a playful enhancement for each and every computer workstation. The two layers of the Vitra sofa leather are stitched, thereby giving the mouse pad its pleasing appearance, while the soft texture of the material is both pleasing to the hand as well as the optimal base for all computer mice. 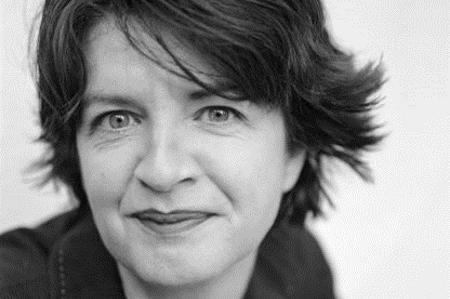 Thus, and as in all her design work the Dutch designer Hella Jongerius combines modern and traditional techniques and materials, a combination that has seen her garner international acclaim and seen her designs collected by all the leading global design museums.